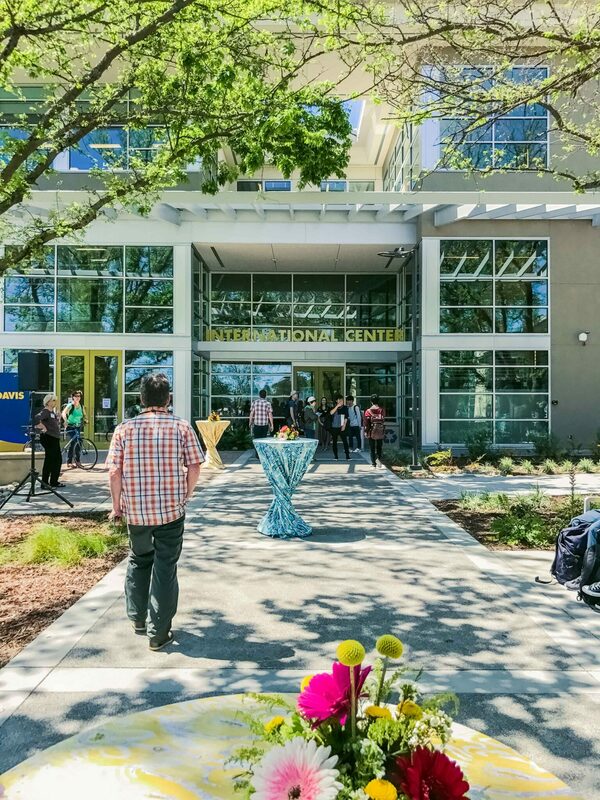 Today on the blog, we have some photos from last week’s grand opening ceremony for UC Davis’ new International Center! 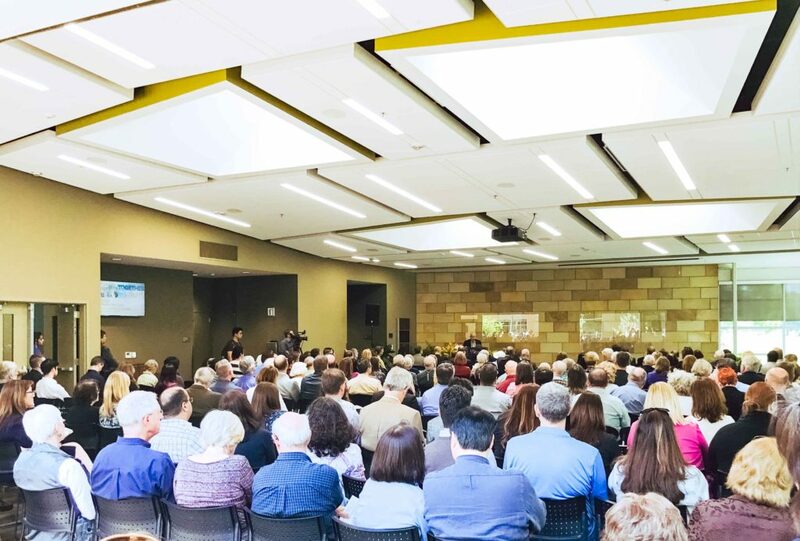 It was a gorgeous day to gather and celebrate the beautiful new facility together. 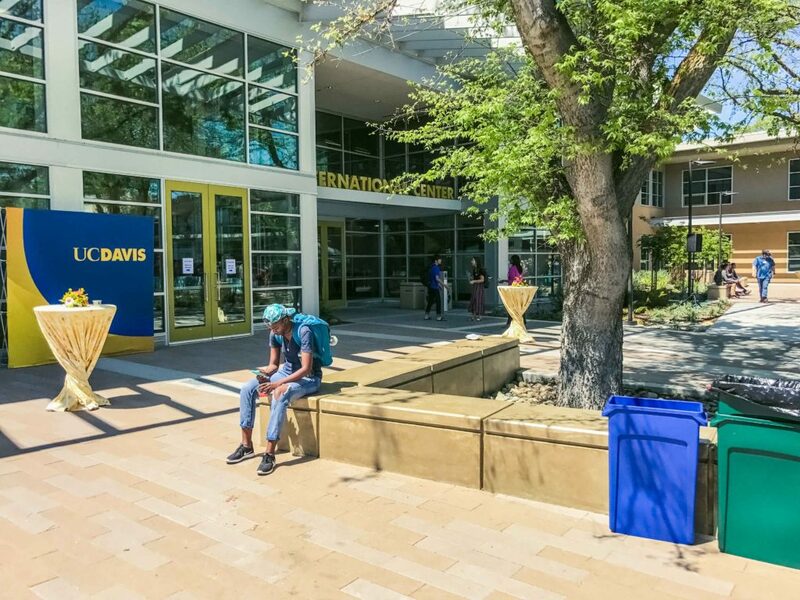 As part of UC Davis’ commitment to extend its recognition as a leading international university, the campus has built a new international facility, accommodating three campus units; UC Davis Extension Center for International Education, Services for International Students and Scholars, and the Education Abroad Center. The new 55,000 GSF building, referred to as the International Center, is located at the north edge of campus at California Avenue and Russell Boulevard. 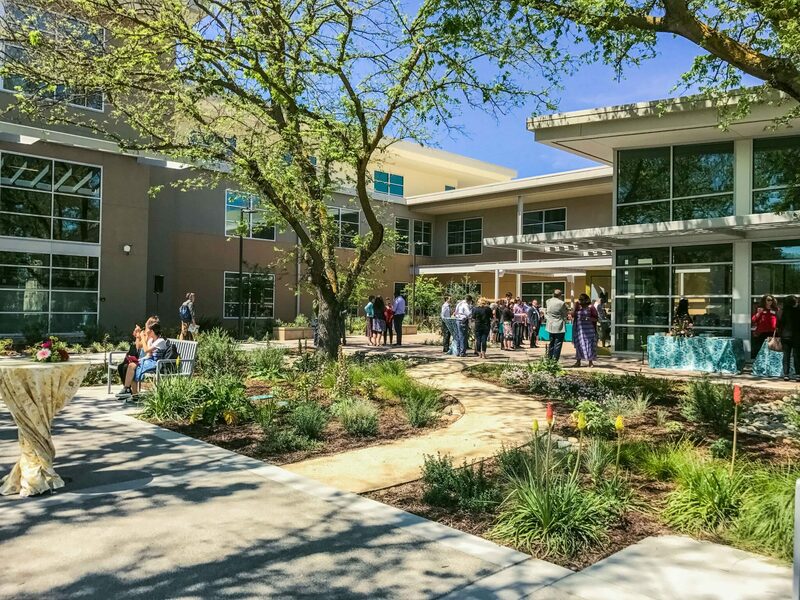 Siegfried provided landscape architecture and civil engineering services for this LEED Gold project. Maintaining a large portion of the existing tree canopy is a significant component of the site design, tying the project to the central campus. The outside environment takes queues from the building’s architectural form to provide clear way finding and flexible outdoor spaces. Main entry points are clearly defined by strong linear walks leading from California Avenue and the main bike parking area. Patios adjacent to the building’s high use areas provide a seamless transition from the indoor environment outward. The active lawn at the southeast corner of the site is visually connected to the entire building and also serves as an informal welcome space to students approaching from the main campus.